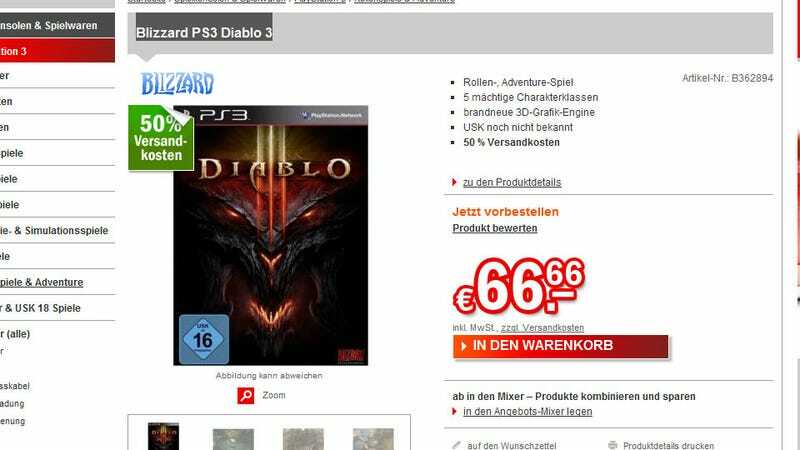 Diablo III on PS3? These Germans Certainly Think So. German retailer redcoon has, on the eve of this year's E3, thrown up a listing on its site for a PS3 version of Blizzard's Diablo III. While a console version of the game has never been officially announced, Blizzard has hardly been coy about its plans to move the blockbuster game off the PC. Making such an announcement at E3 would be just the time to do it. Interestingly, only a PS3 version exists on the site. Don't take that to mean the game would be a PS3 exclusive, though, because you can't take this as something real at all, what with retailer listings being notoriously unreliable sources of information. In fact, I'm only sharing this one given the timing of it, since there's the chance a "go live now" button may have been pressed a little early behind the scenes at redcoon HQ. Just...chew on it a little, and wait and see if the game is announced at today's press conferences. How Big Is Brazil&apos;s Home-Field Advantage At The World Cup?